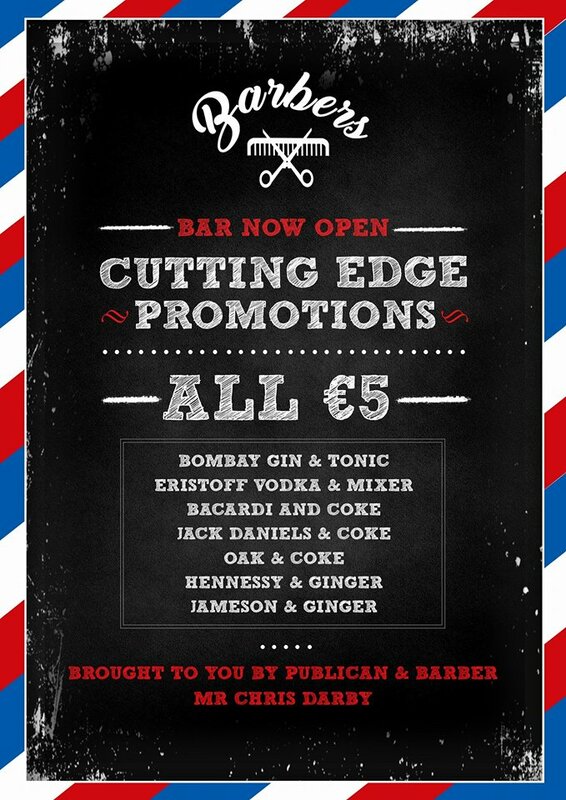 post-title There’s a barber themed pub opening in Dublin. 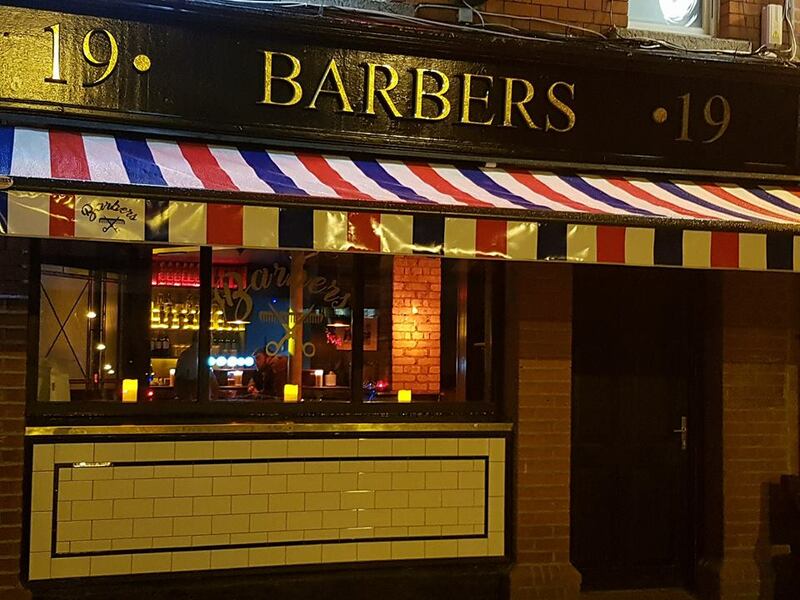 Home / 2016 / There’s a barber themed pub opening in Dublin. It’s called….The Barbers. It’s had a soft opening over last weekend and into this week and all systems seem to be a go. As with any new pub, it takes a while to find it’s feet and sort out the initial kinks, but they seem to be motoring well. The Barbers is in Grangegorman, around 5 minutes walk (if that) from Smithfield and Stoneybatter. 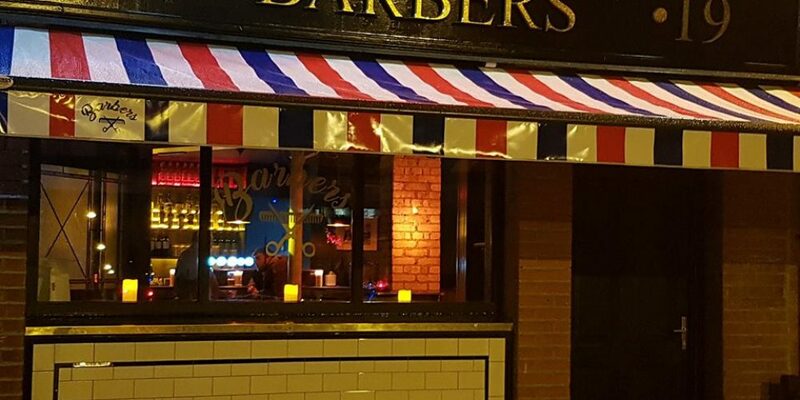 Not only will the pub have a barber theme, but you will actually be able to get a haircut in the pub. So, you could book in for a hair cut, have a pint, and stay on afterwards. Or, if you turn up to the pub in an absolute state, they could at least sort your hair out for you. 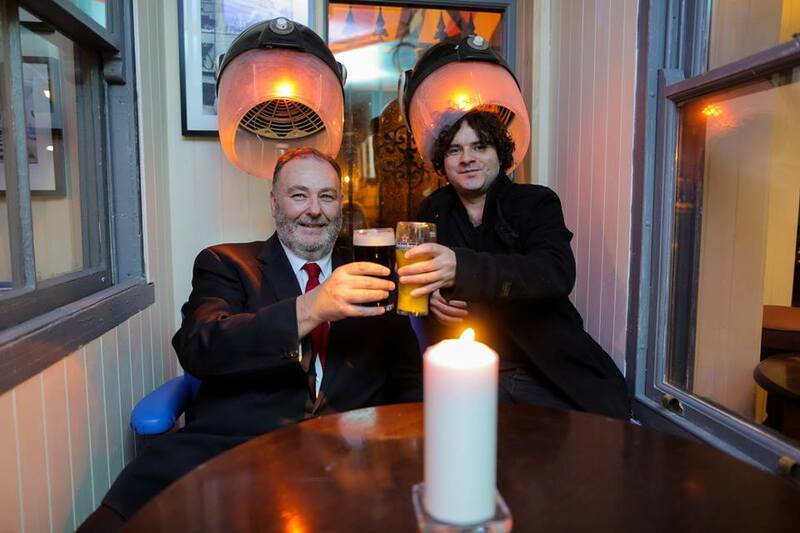 Owner, Chris with Paddy Casey. They’re starting off with some good spirit and mixer drink promotions, including G and T, bacardi and coke, vodka and mixer, and several others for only €5. Paddy Casey and Mundy were both there on opening night, and Paddy even got up and played a few tunes. Chris, the owner, obviously has a few talented friends. A lot of the interior utilises refurbished barber shop elements, such as on head hair dryers as light sources. The pub is where ‘The Orchard’ used to be. We’ll be having a more proper look around the pub next week, so expect more info then. For now, check it out! Take the full video tour via this link.